Betty Crocker Gluten Free Chocolate Chip Cookie Mix & Prize Giveaway! Exciting news! I enjoyed giving away a prize package so much in December that I have decided to do it again! Comment on this post and answer the question “What gluten free recipe or product do you crave that you have not yet found?” to be entered to win a prize package of gluten free products provided by General Mills through MyBlogSpark. 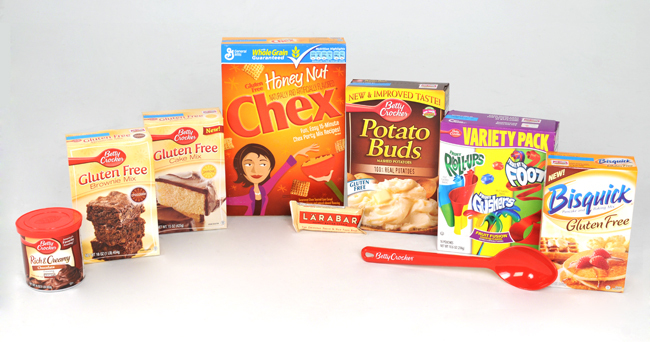 The package includes an assortment of gluten-free products from your favorite brands like Betty Crocker, Bisquick, Chex and Larabar, a Betty Crocker Red Serving Spoon, recipes, and coupons! I will draw randomly from those who comment…contest period ends February 18, 2011. I will announce the winner at the bottom of this blog entry. As many of you may have discovered, Gluten Free Chocolate Chip Cookie Mix is now available from Betty Crocker at your local grocery store. As an added bonus you can print coupons on the Betty Crocker website for great gluten free mixes. 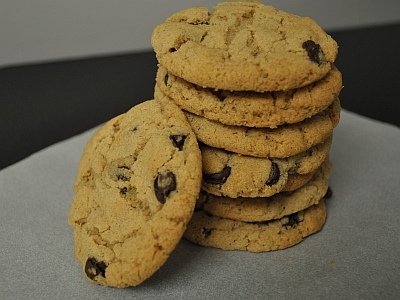 I made these cookies according to the package directions and found them to be chewy (even days later) with plenty of chocolate chips. However, I did find that there was a slightly gritty mouthfeel. 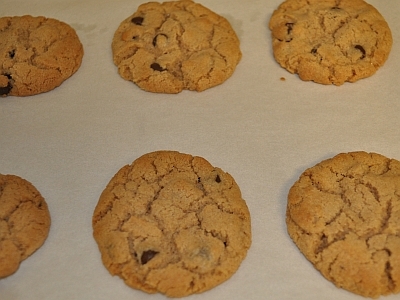 I made my next batch according to the directions, but with the addition of 1/2 cup of almond butter. This seemed to eliminate the gritty mouthfeel. Other nut butters could be substituted as well. 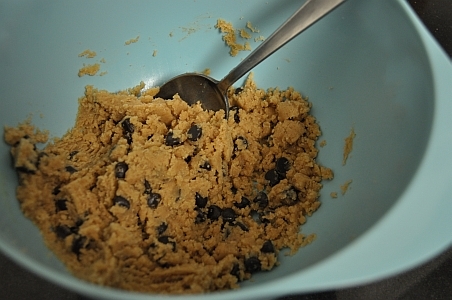 I would love to know if you have tinkered with enhancing this cookie mix (or other GF cookie mix). Honestly, I’ve been able to search and find a gluten-free recipe or product for anything I’m craving. *Thanks* for the giveaway! What is nice is that you can buy corn masa mix at most grocery stores. It is made from corn and so is typically gluten free. There should be directions on the package (usually add just water and salt and sometimes a little shortening) or you can look up recipes on the web. You can also follow the techniques in my GF flour tortilla for rolling and cooking your corn tortillas…not as labor intensive as you might think. Mmmm! That sounds like a recipe idea I am going to have to put in my to do list.